While the dangers of beryllium have been known for several years, the permissible exposure limit was left untouched until recently when OSHA realized the limit was ineffective. Workers continued to suffer from too much beryllium exposure and it was deemed that the current plan was outdated. With the release of OSHA’s final beryllium rule, foundries are expected to take the necessary measures needed to limit beryllium dust and reduce serious health risks in employees. Beryllium exposure is linked to several health risks – risks that could be prevented. Become familiar with the different diseases associated with beryllium dust and inform your employees of these risks as well. Chronic Beryllium Disease – also known as Berylliosis (CBD for short), Chronic Beryllium Disease is a pulmonary disease known to result in debilitation or death. Shortness of breath, fatigue, weight loss, fever, night sweats and an unexplained cough are the most common signs and symptoms of CBD. Though some workers develop obvious symptoms early, depending on the person, signs and symptoms can hide until months or years after beryllium exposure. Before CBD can be developed, a worker has to be sensitized to beryllium by either inhaling or exposure to the skin. Mortality rates range from 5.8% to 38%. Acute Beryllium Disease – also known as ABD, Acute Beryllium Disease is a rapid form of chemical pneumonia. ABD is caused through breathing high airborne concentrations of beryllium in the workplace. Beryllium levels at or above 100 μg/m3 is linked directly with the result of ABD and can be fatal in 10 percent of cases. Though ABD is extremely rare today thanks to exposure controls implemented in the 1970s, not having a recurring control plan can put your workers at risk. Lung Cancer – Occupational exposure to beryllium through inhaling beryllium dust particles, mist or fumes is known to increase the risk of lung cancer in workers. According to the International Agency for Research on Cancer, beryllium is listed as a Group 1 carcinogen, meaning a cause of cancer in humans. Additionally, the National Toxicology Program lists beryllium as a proven human carcinogen. The American Lung Association projected 154,050 Americans were expected to die from lung cancer in 2018. As the leading cancer killer in both men and women in the US, eliminating the risks of lung cancer through beryllium exposure is a must. Being in compliance with OSHA’s updated regulations will result in significantly fewer cases in your workplace. OSHA has publically announced the requirements for foundries and similar workplaces to follow in order to be in compliance. 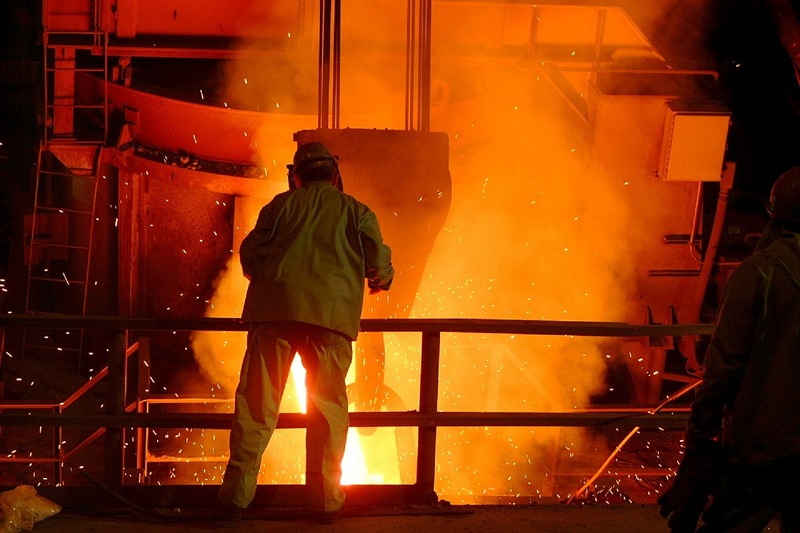 While OSHA has detailed information (opening in new tab) regarding their new beryllium rule and the standards that follow, here are a few guidelines for foundry managers to implement in order to be in compliance and keep workers safe. The recent beryllium rule reduces the PEL to 0.2 micrograms per cubic meter of air (µg/ m3 ) averaged over an 8-hour period. Additionally, the rule establishes a short-term exposure limit (STEL) of 2.0 µg/m3 over a 15-minute sampling period. Work practice controls and engineering must be used to prevent excessive beryllium dust particles from becoming airborne. Access to high-exposure areas must be limited by employers. Respiratory protection should be provided when necessary. When high exposures or dermal contact is possible, employers must also provide personal protective clothing. It’s the responsibility of the employer to assess beryllium exposure levels, develop and implement an exposure control plan that has been written out and provided to each employee and provide employees with the necessary training when specific to beryllium. A well thought-out plan and the proper equipment work hand-in-hand with controlling beryllium in foundries. Industrial Vacuum offers machines built specifically to protect both foundry employers and employees alike. Removing beryllium dust particles can be done with two approaches. The first approach is by removing dust particles that are directly in the air. Our dust collectors are designed to collect and filter beryllium dust particles that have become airborne. This means less of your employees will be at risk for inhaling the particles in the air surrounding their work environment. Another approach removes dust particles that are at rest. Our industrial vacuums collect and dispose beryllium dust from surrounding surfaces, such as walls, machines, tables and flooring. At rest beryllium dust can sensitize a worker through contact with skin. To find out which machine is best for your need, visit our comparison article. Take the next step in protecting your foundry workers by partnering with Industrial Vacuum. Browse our industrial dust collectors, industrial vacuums or reach out directly and we’ll tag team with you to limit beryllium exposure in your facility.